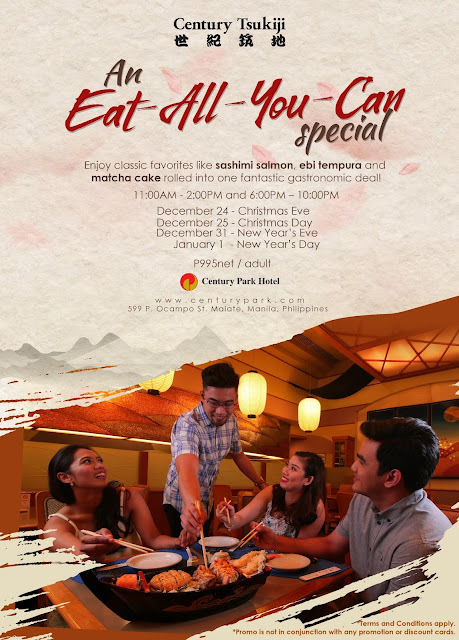 Manila, Philippines – Century Park Hotel (CPH), one of the finest hotels in Manila, is giving you more reasons to smile this Holiday season with a sumptuous feast of Japanese cuisine at Century Tsukiji! A fantastic gastronomic deal awaits you at P995net! Eat-all-you-can and enjoy classic Japanese favorites such as ebi tempura, salmon sashimi, tenderloin teppan, gyuniku teriyaki, matcha cake and more! The eat-all-you-can deal is valid on the following dates: December 24 (Christmas Eve), December 25 (Christmas Day), December 31 (New Year’s Eve) and January 1, 2019 (New Year’s Day) from 10:00AM - 2:00PM and 6:00PM – 10:00PM. memorable by saying “Aloha!” to 2019 at Century Park Hotel! Welcome the New Year with a pool party at the hotel’s Palm Grove from 10:00PM onwards. For only P1,200 (adults) and P700 (kids), guests can enjoy the hotel’s temperature-controlled pool at their leisure while waiting for 2019 to ring in. What’s more, the tickets come with drinks, food and a live band. Truly a unique way of waiting for the clock to strike midnight! 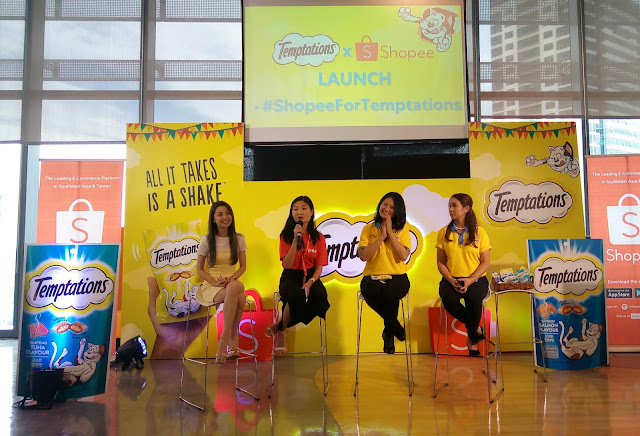 Going for a staycation? CPH has also prepared a New Year’s Room Package. Starting at P6,500net, take advantage of a Superior Room, breakfast for two and New Year tickets for two. Deluxe Rooms can be availed at P7,500net while Jr. Superior Rooms are available at P8,500net with the same package inclusions (Superior Room). Launched in 1976, the Century Park Hotel remains as one of the finest hotels in Manila. It is owned and operated by Maranaw Hotels and Resort Corporation and enjoys a mix of local and international patrons. The renowned establishment has over 500 rooms in varied types and facilities for a complete dining and leisure experience. To know more about Century Park Hotel, visit www.centurypark.com or contact information@centurypark.com.ph and telephone number: (632) 528-8888.